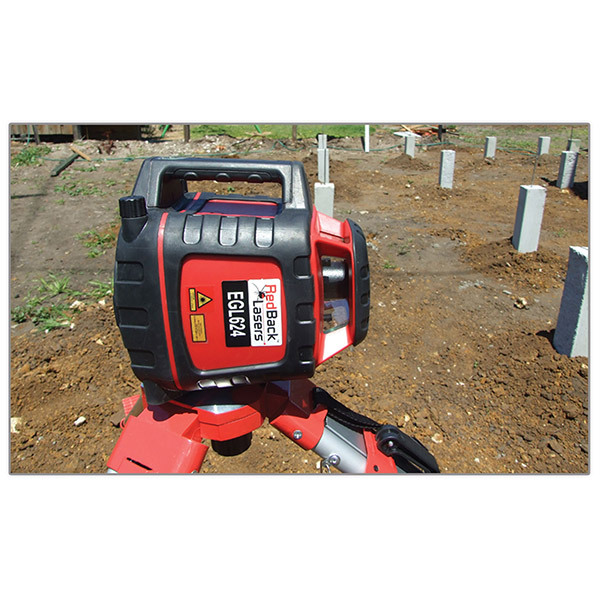 RedBack Lasers EGL624 is an electronic auto levelling rotating laser level with Dual Grade and Horizontal and Vertical rotation modes. 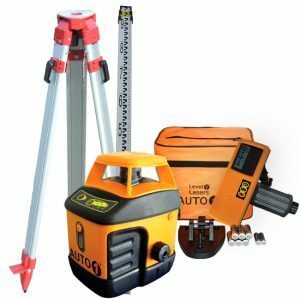 Ideal for concreting, general site levelling, site layout, plumbing and interior fit out. 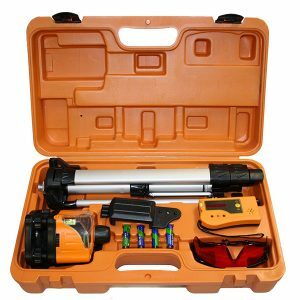 Included is a dual sided display receiver and staff clamp, remote control, rechargeable batteries and charger and hard shell carry case. more details and videos below. RedBack Lasers EGL624 is a fully automatic electronic self levelling laser both Horizontal & Vertically. 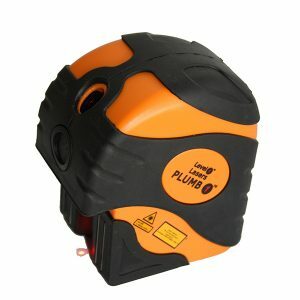 Simply place laser level on a tripod (optional extra) and press the power button, in seconds it self levels and begins to rotate. The EGL6124 is extremely tough with a steel internal chassis and heavy rubberised casing it can handle use day in, day out on the toughest of job sites. RedBack Lasers EGL624 Is also electronically self levelling on its side for vertical rotation and includes a dot laser at 90 degrees for site layout. One of its main features is it has dual manual grade match so you can set a grade on either or both axis using the remote control, so one person can set grades with ease. The EGL624 also features TILT function in that if this is selected and the laser is disturbed or knocked the beam will stop rotating and indicate something has moved. Another features is V W S (vibration and wind setting) when selected the EGL624 will continue to spin even when making minor adjustments due to vibrations, without it selected it will stop rotating each time to make those minor adjustments. The EGL624 can also be use for interior installation with Scan line modes to intensify the visible brightness for both horizontal and vertical operation. The EGL624 comes complete with Heavy Duty LR715 electronic receiver with dual LCD displays front and back. The EGL624 also comes with rechargeable batteries and charger, but, can also be used with standard “C” batteries or even be powered of the charger/power supply. Other brands sell rechargeable batteries and charger separately with the RedBack EGL624 its all included. The EGL624 is ideal for concreters, plumbers, general builders and site levelling as well as internal installation. The RedBack EGL624 comes with a 5 Year manufacturers warranty.